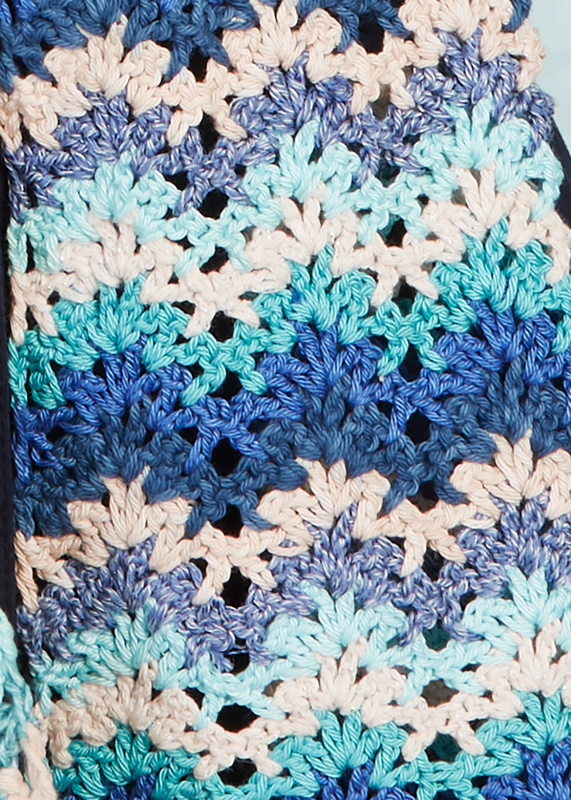 The appealing wave stitch pattern for this summery scarf (size 9x 62 in.) is achieved only with double crochet stitches that are alternately worked multiple times into the same stitch or decreased together. This looks great with different colors, and just as good in a single color. Here, four yarns from the mix&knit collection in cool, sea blue shades were combined: Catania, Catania Denim, Summer Ombré and Summer Shine, a chainette yarn with a soft sheen. If you prefer, you can also use the cotton yarn Catania Glamour which also contains soft lurex and is definitely an eyecatcher.